Semi-Permanent makeup is the term used to describe make up that will not come off for years. It is implanted into the skin using very fine needles. The pigment, not ink unlike in a normal tattoo is EU regulated and will fade in time but this could be years and if you have top ups it will last forever! One of the most popular treatments is eyebrows because a great many people lose their eyebrow hairs for a variety of reasons alopecia, chemotherapy or a genetic disorder to name but a few. What can semi-permanent makeup achieve? Tiny thin hair strokes can be implanted into the dermis giving the illusion of real hairs. 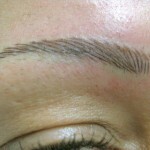 A skilled technician can create the illusion that there is hair and give the client perfect natural looking eyebrows. As the eyebrows are the frame of the face the effect is truly enhancing. Because we can implant so finely and accurately the eyeliner looks amazing. We work through and above the eyelashes. This gives beautiful definition to the eyes and creates a thicker eyelash appearance. Semi permanent make up performed on the lips not only gives beautiful colour but can enhance and correct the lip shape. As we get older many of us lose our lip definition and the lips shrink. With clever use of semi-permanent makeup fuller more symmetrical lips can be achieved. This procedure is ideal for busy people who want their make up to look perfect but haven’t got the time. This procedure guarantees that you are looking your best 24/7. Check out this semi permenent makeup video on Youtube. 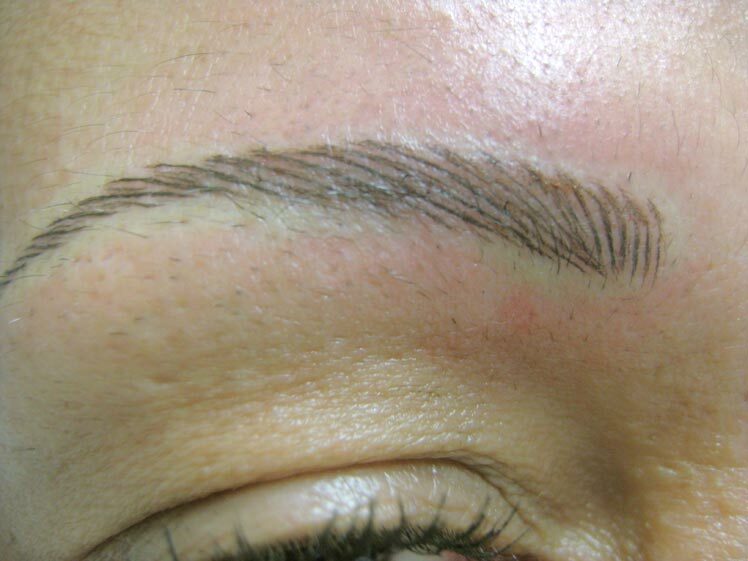 Micropigmentation/semi-permanent make up, can also be used for medical procedures such as creating aureola. Aureola can be created by a skilled medical micropigmentationist. It can be very effective and improve the clients feeling of well being. I would like to take this opportunity to thank you very much for the professional and friendly manner you performed the permanent eyeliner procedure for me. Following my first and second applications I have been overjoyed with the result and it has benefited my daily routine considerably. – Laura Pritchard.